In 1970 Black Sugar emerged from the band Los Far-Fen, which was founded 1969 by guitarist Victor „Coco“ Salazar and keyboardist Miguel „Chino“ Figueroa. The new musical director of the label Sono Radio, Jamie Delgado, signed them in 1970 and gave the band its name Black Sugar. He also helped them to record & release their first self-titled LP in 1971. 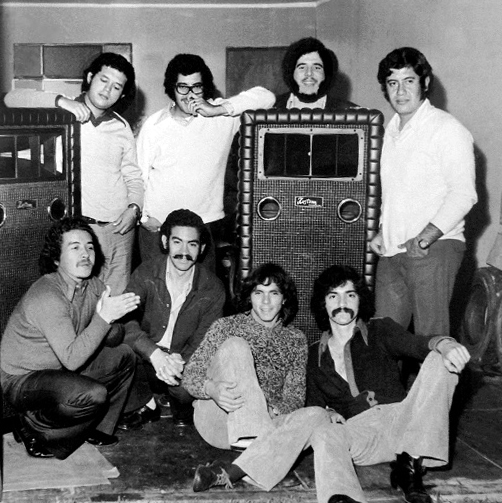 Black Sugar was formed by some of Peru’s best young musicians of their day and achieved great success in South America. Two tracks from US-Funkband Calender incl. reworks by Hotmood & Voodoocuts out soon! Copyright © 2019 Matasuna Records.